I find this truly staggering from ASH. They had a stall this week at The Chartered Trading Standards Institute conference and were giving out information about e-cigs. So who did they invite to do it? Erm, why didn’t they invite some vapers? Tobacco control, especially ASH, have no real idea about e-cigs whatsoever. The extent of ASH’s knowledge is so bloody piss poor that they lobbied ferociously in favour of Article 20 of the TPD which – in their own parlance – will kill hundreds of thousands of people. The UK’s tolerant position on vaping looks under threat this week, as regulators move to tighten up loopholes in the country’s implementation of the EU TPD. Meanwhile the pharma industry is using regulators to attack e-cig advertising, again using the TPD as a weapon. Across the Atlantic, US town councils continue to crack down on vapers under the guise of anti-smoking regulation. At least two more bans were introduced this week, one restricting vape purchases to over-21s and the other making it illegal to use e-cigarettes in an Arkansas city’s public parks. In July 2007, a smoking ban was introduced in all enclosed ‘public’ places – bars, restaurants, railway platforms and workplaces – in England. Three months later, Action on Smoking and Health (ASH) issued a fact sheet titled ‘As the Smoke Clears: Myths and Reality of Smokefree England’. Before the ban, ASH consistently dismissed evidence from Ireland and the US that smoke-free legislation damages the hospitality trade. In this document, they asserted that it was all a lie. There has been much talk in various blogs in recent days of the looming ’10th Anniversary Of The Smoking Ban’. Many people have covered it and much chit and chat has ensued on Twitter and other social media platforms. However, something caught my attention this week which indicates to me the possibility that we may have reached (or at least be close to) the tipping point in Prohibition. That is, we may have reached the point where the public (and Government) have said enough is enough. Mark Twain, so the story goes, used to joke that giving up smoking was the easiest thing in the world – after all, he had done it “thousands of times”. The US novelist, though, did not have the option of e-cigarettes – the quitting phenomenon that started in the US and is now a rapidly growing business here with its own “cloud-chasing” subculture . UK sales of vaping products surged 50% last year to reach £1bn, and are on course to exceed £2bn by 2020. The smoking ban came into effect in 2007 but where does that leave the many people who now want to vape in your premises rather than smoke cigarettes? It’s strange to think that it has only been a few years since the now commonplace electronic cigarette (e-cigarette) first appeared. In the previous post, I gave some background about the new proposed rule from FDA’s Center for Tobacco Products (CTP) that would cap the concentration of the tobacco-specific nitrosamine (TSNA) known as NNN allowed in smokeless tobacco products (ST). Naturally, I think you should read that post, but to follow the scientific analysis which begins here, you do not need to. Someone has inserted language [see page 99] addressing the FDA’s deeming regulations into a House appropriations bill that will pass this fall — but no one is quite sure who did it. And advocates are uncertain whether it was done by a friend or a foe. The language mandates that the FDA create product standards for regulating vapor products, rather than put all existing products through a premarket tobacco application (PMTA) system that has only the vague goal of proving each product is appropriate for the protection of the public health. A massive tax on electronic cigarettes is upending the vaping industry in Pennsylvania and is blamed for putting nearly 100 stores out of business since implementation. Every new vaper knows the confusion. Shopping for your usual 12 mg/mL nicotine level, you don’t see the option there. Instead, the e-juice comes in either 0%, 0.3%, 0.6%, 1.2% and 1.8% nicotine. So what do you do? What’s the difference between nicotine strengths written as mg/mL and those written as percentages? How do you convert from one to the other? A Northland retailer selling e-cigarettes is “astounded” by the growth in sales since tobacco prices increased 10 per cent on January 1. People puffing on the electronic devices, or “vaping” as the practice was known, were becoming a common sight around Northland with the retailer – who spoke anonymously – describing the cigarette substitutes as “the best thing I’ve ever sold”. 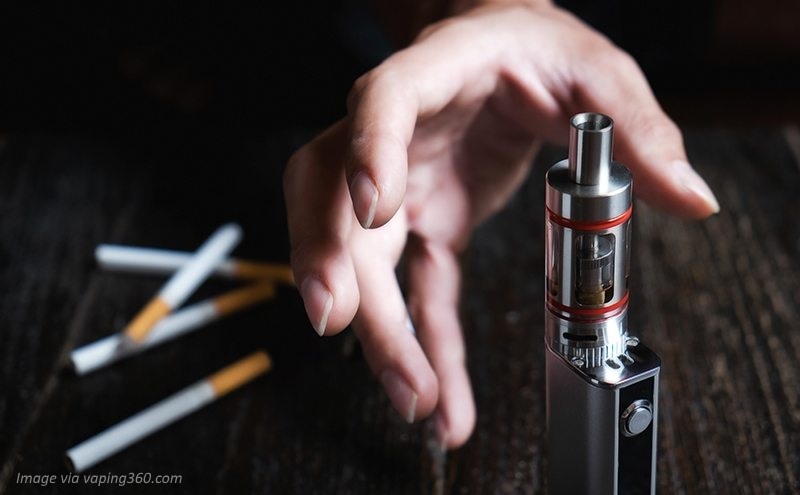 Many of us who are passionate harm reductionists in the illicit drugs world have been slow to see the obvious similarity with what could yet prove to be one of most important harm reduction interventions developed thus far, e-cigarettes. The purpose of this study was to examine e-cigarette use and the relation of such use with gender, race/ethnicity, traditional tobacco use, and heavy drinking. A sample of 599 college students enrolled in General Psychology at a state university completed a self-report questionnaire. Twenty-nine percent of students reported prior use of e-cigarettes, with 14% reporting use in the past 30 days.